Previously unpublished in the UK, this book by best-selling co-author of The One Minute Manager and author of Who Moved My Cheese? shows the quickest way for mothers to help their children learn to like themselves and want to behave themselves. With the pressures of 21st century working life an everyday topic of news and conversation, this book addresses the fundamental question of how to be a better mother. Adopting the same tell-a-simple-story approach as the other Blanchard and Johnson books, the story shows how to reach your own potential while helping your children reach theirs, how to develop their self-esteem and responsibility, and how to communicate effectively and enjoy one another more as a family. Not only a `how-to' for making time for your child, it also improves every second spent with them. This will be particularly useful to mothers of school-age children helping them empathize with their children and strengthen the parent-child bond. 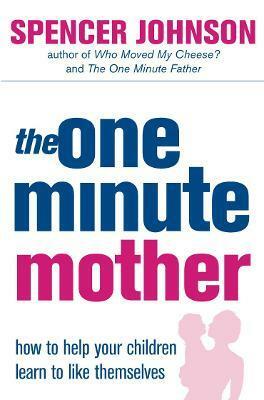 "THE ONE MINUTE MOTHER is a masterpiece in the art of communication. Dr Johnson has the ability to be interesting, provocative and succinct. My admiration is complete."